I am so sorry but this is a post about brushes. They are awesome brushes but still....it's brushes. And that's a little bit boring. I got these last week when I paid an unnecessary/necessary visit to the Marina Mall branch. I picked up that Too Faced La Creme lipstick, MUFE Smoky Lash mascara (I hereby vow to never leave you again!) 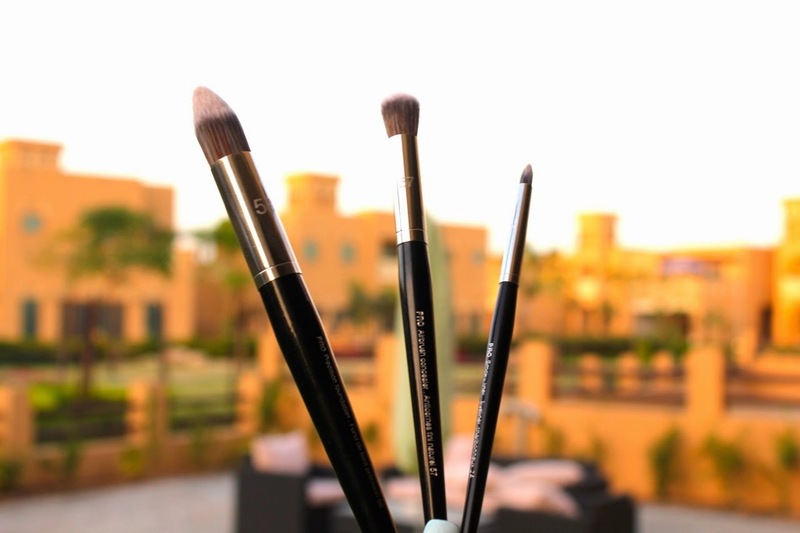 and these three brushes. Did I need these brushes? No. I love my MAC/Sigma/Real Techniques mix but after trying them I want to tell all my friends to go and get them anyway. First up, number 58. 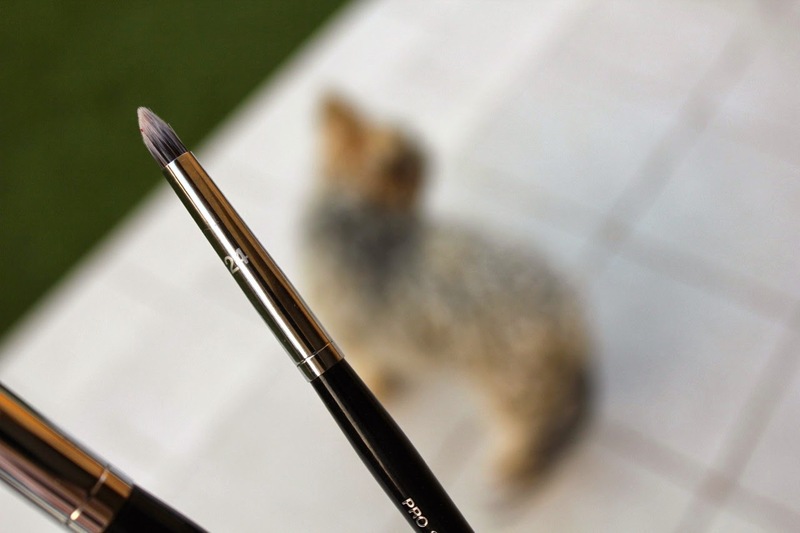 This is the PRO Precision Foundation brush. And it is awesome. It covers areas well but also allows you the necessary precision to apply product in those niggly, hard to cover places - around the nose/under the eyes etc. It works well to lay and blend even the thickest of formulations (Clarins Extra Comfort for instance) and also manages to make them look natural. Prior to this I was using the Real Technique Buffing Brush - also fantastic but this just makes everything look that teensy more flawless. The 57. Otherwise known as the PRO Airbrush Concealer. This is the business. I use this with my Collection 2000 Lasting Perfection Concealer - AKA the best concealer known to man/woman. I have tried the whole MAC 224 for under the eye but when you try this there is absolutely NO comparison. Airbrush is such an overused word in the makeup industry but here I forgive it - if you want natural, beautifully flawless under eyes you need this brush ..... and oodles of Collection 2000. Finally, the 24 or the PRO Smoky Liner. I love this because I am in a phase of smoking out my liner and while the MAC 219 does a decent job, this does it better. It's more precise, it doesn't require as much work. I am currently debating buying more 24's - one for inner corner and one for crease work - because this type of brush gets me excited! OK so I promise that is brush talk over with. I was always a bit snooty about Sephora own brand stuff, dismissing it and thinking that it's probably not as great as MAC et al. This experience just proves me very, very WRONG. Japonesque makes a gorgeous foundation brush very similar to the 58. Expensive, but often on sale at Ulta! I've been wanting to try the Sephora Brushes for a loong loong time. I love my Real Techniques/MAC Brushes, but these have gone onto my wishlist. I sooo wish we had a Sephora here in the UK! I know we're able to get things delivered now but there are some things we still can't get :( grr, these look lovely! Are they not delivering brushes? I hate shipping rules! I think Sephora landed in the UK too early....if they set up up now I think they would clean up! I am OBSESSED with the Sephora Pro brushes!!! I use the Pro Flawless Bronzer Brush #46 as my foundation brush and it is seriously perfection; looks so airbrushed. 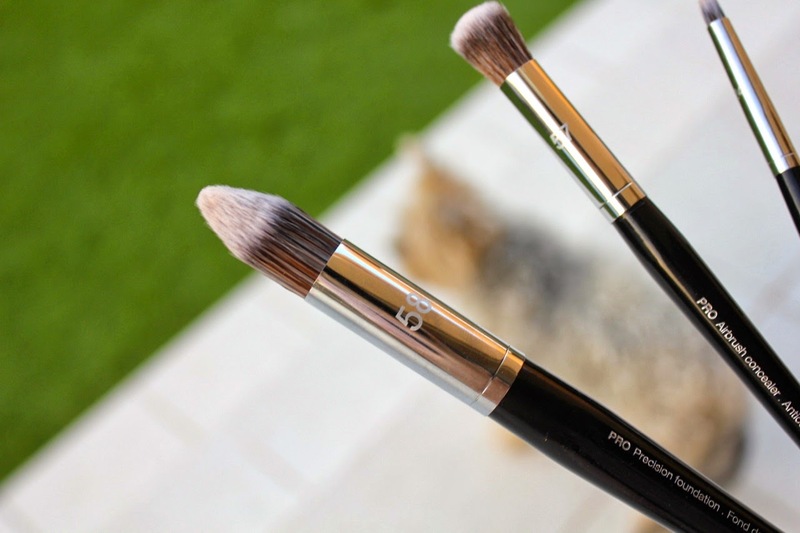 I also have the Pro Angled Blush Brush #49 that I love using when I am just wearing concealer because it works good to blend it out after I spritz it with some toner. Lastly I have the Pro Allover Powder Brush #61 which was not as fluffy as I anticipated but I still love using it to set my foundation with powder. Their brushes are seriously top notch! You know i tried that once and I didn't get on with it but then I hear people loving it....to be honest I think I was too stupid to understand how to work with it. I should give it another shot! I think Sephora brushes are really nice .. I'll have to look at the #57 (haven't seen this one). Thats the life changer for me - I have generally preferred fingers for concealer blending but no more...this is the best! I want to order from Sephora sooo badly but not sure I can justify it at the moment! the cost of the delivery to the UK is a little steep at the moment.. when I've got a little extra cash I'll take the plunge! As a fellow Collection concealer junkie, I now *need* the 57. Thank you, oh great enabler! I love Sephora's mineral powder brush (#45). I use it to apply my liquid foundation and it always looks flawless. I'm putting #57 and #24 on my to buy list now! Overall favourite brushes - MAC 217, Louise Young LY38 (I want to try the 38A), Louise Young LY14 (for if I want a sharper crease; also a good size and shape for my semi-hooded eyes). Sigma F80, RT Expert Face (I use it for contouring), EcoTools Angle Brush. Ooooh, I've been smoking out my liner lately and I have yet to find a brush that does it as well as I would like. I will be picking up the 24! It's nice to see a foundation brush with a smaller tapered head, will definitely be checking it out. I love the look of 57 the most, would be a very versatile brush and is a great size and shape for different areas of the face. I'm not so much of a fan of tapered foundation brushes as I find them a little harder to work product into the skin. 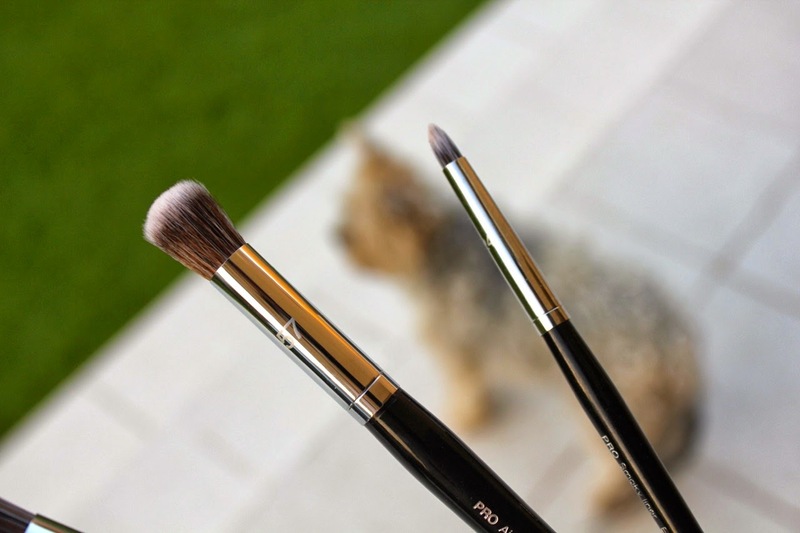 I definitely have the Pro Airbrush Concealer Brush on my wish list! I was being color matched for the NARS Radiant Creamy Concealer and the woman that worked at Sephora used that to blend it in and it was just amazing. Definitely a brush I hope to pick up soon! Collection 2000, come to Canada!!! I found I needed new brushes a couple weeks back. I did a post about how I found a great sale at Ulta and was able to get two sets of Real Techniques brushes for under $25! I've never used proper makeup brushes. But I think it would be good to give them a try. I have the crown brush version of the first two brushes and I am so obsessed with them for concealer and spot foundation application!